Vinyl imitation leather can look as stylish as the real thing. It lends hipness to your dining area when used as upholstery for chairs or bar stools. But as popular as vinyl is, it's very sensitive, says Dr. Leona Hawks, home furnishings specialist at Utah State University. Heavy rubbing or human body oils can cause vinyl to harden and crack over time. If your favorite old vinyl stools are finally showing a few cracks and rips, resurrect them with a vinyl-leather repair kit, which you can buy online or at any commercial hardware store. Resurrect a vintage vinyl-upholstery stool by fixing up those rips. Gently clean the stool’s vinyl upholstery using a few drops of the dish washing liquid, lukewarm water and a damp washcloth. Clean up dirty seam stitches as well. If the upholstery is particularly dirty, rinse the washcloth and repeat this step. Once the vinyl is clean, wipe it dry immediately with a dry washcloth. Then towel it down to make the surface absolutely dry. Remove any lint on the upholstery. Remove, snip off, or tuck in any loose threads from the seam stitches or the vinyl’s frayed cloth backing, especially near the cracked or torn areas. With a lint-free rag, wipe down the damaged areas of the upholstery with a little rubbing alcohol, to remove any previous cleaner residue. Let the alcohol evaporate. Wipe down only the damaged areas and avoid placing alcohol on the good areas. Cut out a piece of new backing fabric that’s a bit larger than the cracked or ripped portion of the vinyl. If there is more than one rip or damaged area, cut out separate backing fabric pieces for these as well. Insert this fabric into the damaged area, underneath the vinyl, covering the inner foam or padding. Study the instructions on your particular vinyl-leather no-heat repair kit on how to apply that particular liquid vinyl onto the damaged areas. Following the specific product application instructions, apply the liquid vinyl evenly onto the damaged spots, covering it completely. Apply the appropriate grain paper over the wet vinyl layer. 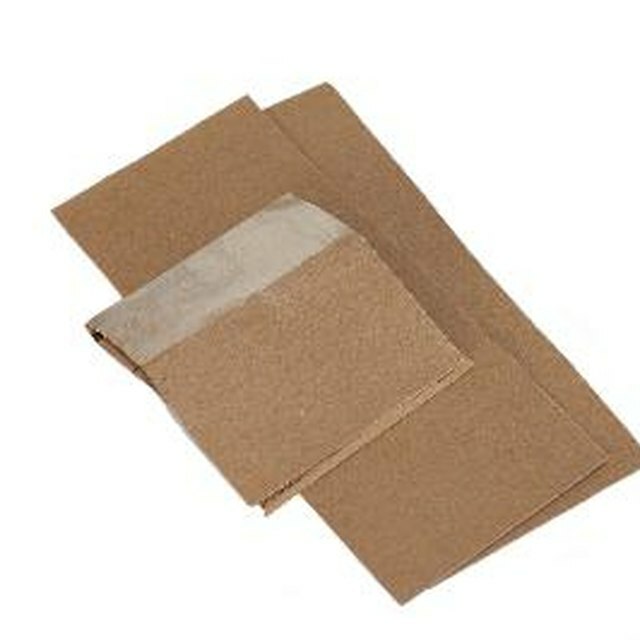 Tape the grain paper in place, or secure it into place with a heavy object, such as a book. Grain papers impress a particular texture over the liquid vinyl as it dries. Make sure the grain paper texture matches the texture of the surrounding original vinyl upholstery. Leave the vinyl to dry this way. Once the new vinyl is dry, take off the grain papers. If your vinyl repair kit comes with additional instructions and materials to help you achieve a particular finish, such as glossy or matte, to match the original upholstery, apply these to the repaired areas as specified. Apply the whole procedure to the rest of your damaged vinyl stools, if any. Magic Mender - The Leader in Leather Repair: Fabric Identification – Leather or Vinyl?